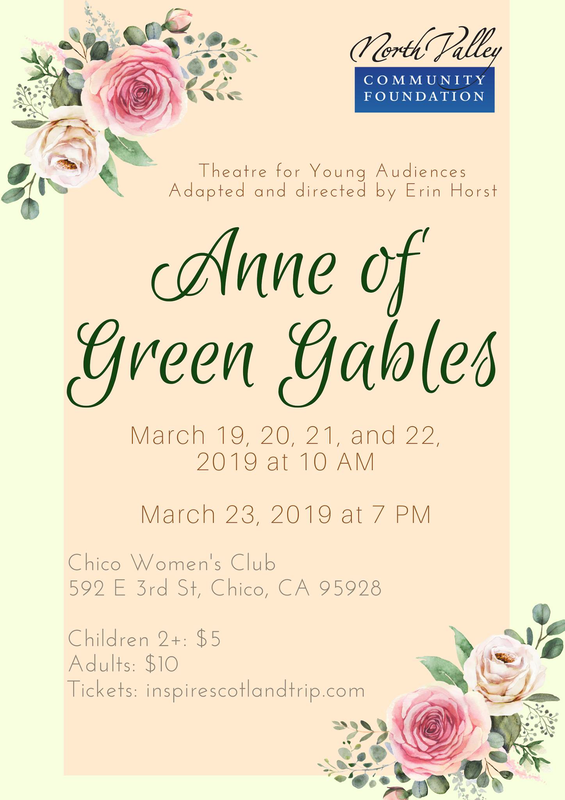 Chico – CA The Edinburgh Fund, empowered by the North Valley Community Foundation (NVCF) presents a charming adaptation of Anne of Green Gables designed for young audiences, aged preschool through elementary. The play opens March 19th at the Chico Women’s Club. The production’s profits will benefit Inspire School of Arts and Sciences theatre students traveling to Scotland this summer to perform at the Edinburgh Festival Fringe. This performance of Anne of Green Gables, adapted and directed by Erin Horst, will welcome children and their families to enjoy the story while seated on vintage-inspired picnic blankets in front of the stage. Chairs will be available for adults and older children. Audiences will have the opportunity to engage with the story through interactive moments during the play and a post-show meet-and-greet with Anne herself. Concessions will be available, including old-fashioned style popcorn and treats – proceeds also benefit the fund. Though the production is designed for young audiences, adults and fans of L.M. Montgomery’s beloved novels will delight in this faithful adaptation. Professional actress Jami Witt who holds a master of fine arts in acting from the University of North Carolina-Greensboro leads the cast as Anne. Others on-stage include long-time local theatre practitioner Ruth Palmerlee as Marilla Cuthbert, Inspire founder Ron Pope as Matthew Cuthbert, Cathey Kohler as Rachel Cuthbert, Ruby Ocampo as Diana Barry, and Gabriel Suddeth as Gilbert Blythe. Rounding out the ensemble are student acting interns playing school boys and girls in Avonlea: Olivia Steele, Luciano Castaldo, and Jada Diaz. 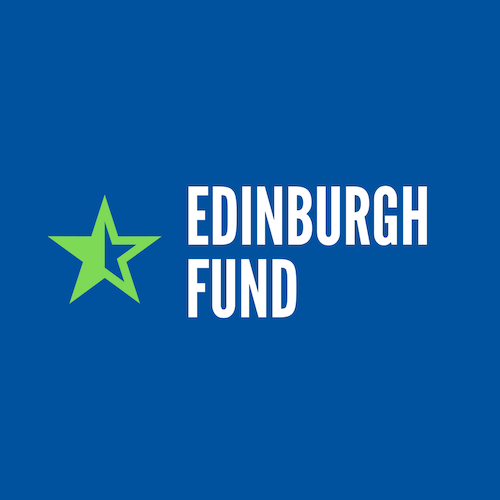 Both Diaz and Steele are set to travel with the student group this summer to Edinburgh. Performances at 10 AM on Tuesday, March 19th through Friday, March 22nd, and 7 PM on Saturday, March 23rd. Adults $10, Children 2+ $5. Post-show pictures with Anne $5. Tickets can be purchased online at inspirescotlandtrip.com.